Growing up on California’s Central Coast, I was surrounded by Monarch Butterflies. 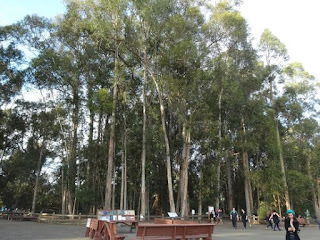 There was a monarch resting habitat, inconspicuous along the highway, and my family would stop there every year to gaze among the pale eucalyptus trees for the familiar bright orange. After moving to Pennsylvania, I thought my visiting days with monarchs were over, until I learned that Monarchs exist both east and west of the Rocky Mountains. As one of the recognizable species, it is not difficult to identify the Danaus plexippus, as it is not often confused. Additionally, I was not aware that, depending on which side of the mountain range they are on, they will migrate to a different part of the world. The Monarchs I had been seeing in my childhood had been making a journey from the Canadian border, down the Pacific Coast to stay the winter in California, between Eureka and San Diego - an impressive couple hundred of miles. 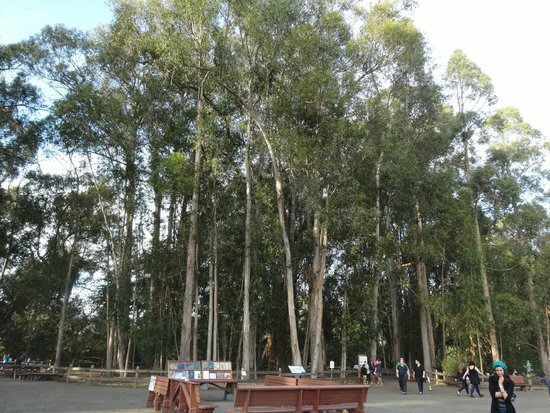 They harbor in the Eucalyptus found everywhere on the Central Coast, as well as Pine and Cypress found in more Northern California areas. They were on the hunt for tall trees where they can roost with the most wind protection, but with enough sunlight let in to warm their bodies. Monarchs also are in need of spaces with enough moisture for hydration, and prefer areas that are foggy and humid, and the Central Coast is known for their mild climates and particularly chilly foggy mornings. However, the Monarchs on the east of the Rockies are actually a larger population than those on the west. They spend their time in southeastern Canada and northeastern United States before making a several thousand mile journey to a very specific overwintering site in Mexico. 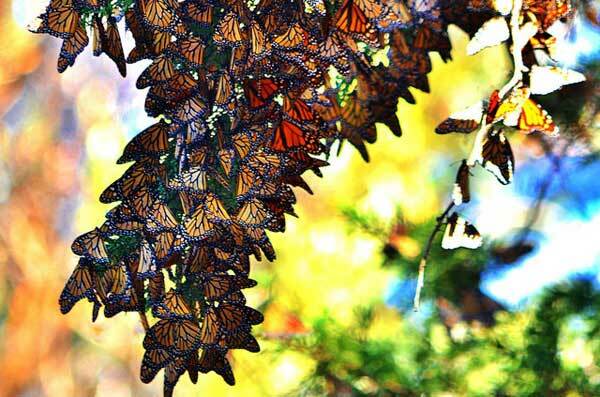 The Michoacan State in Mexico hosts fir trees that provide the preferred climate for the Monarchs during the winter. Because this journey is so long, it often takes several generations to complete the full loop from North to South and back again. What I don’t remember seeing growing up is milkweed. We were taught in class that milkweed was the Monarch’s food of choice, but we were never taught how or where to plant it and make sure it was abundant. This has cost the Monarch, who relies almost entirely on the plant for food and reproductive space. Monarchs lay eggs at the end of their life, and having milkweed abundant when they are ready to do so it vital to their ability to reproduce. Additionally, milkweed is not only used by Monarchs, but many other butterflies, bees, and pollinators. Milkweed, or Asclepias L., need plenty of light but are otherwise easy to grow between other plants. With colorful flowers, they are typically an annual within the Northeast region, with seeds that can be replanted in the spring for summer blooms. They can be propagated from either seeds or cuttings, started outdoors or indoors. If started indoors, make sure they stay warm and get plenty of light, either with a grow light or natural sunshine, and wait 4 to 8 weeks to transplant them, at a time after the frost has passed. Monarch Butterflies certainly need spaces where they can migrate to and from, as the milkweed they use for food along the way is incredibly important. 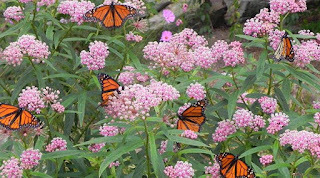 If you’d like to learn more about planting milkweed to support this important pollinator, check out Penn State's Gardening for Butterflies.